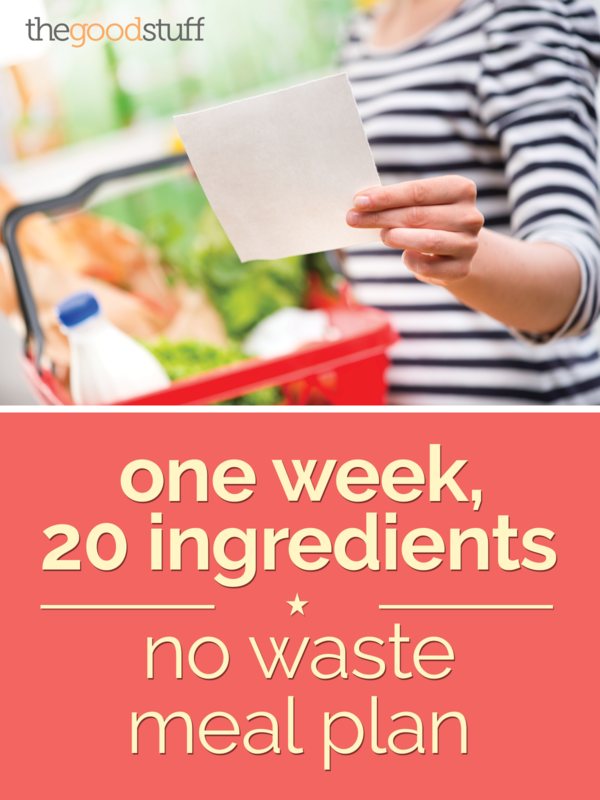 1-Week, No Waste Menu Plan: Just 20 Ingredients! Is your fridge a wasteland for leftovers? You may peer into the fridge and lament that you have nothing for dinner, all the while the stacked food containers and old vegetables are left to spoil. Get mealtime in order while preventing food waste by planning your menu around ingredients that can be used in many different meals. Cook extra chicken and use the rest for tomorrow night’s dinner. Buy a big tub of salad greens and several heads of broccoli for a whole week of healthy sides. Use creativity to plan your menu, and you’ll get a week’s worth of meals that are anything but boring. We’ve put together a week-long meal plan using only 20 ingredients. You’ll get ideas for breakfast, lunch, and dinner that won’t have you tossing the leftovers! Before you go grocery shopping for the week, don’t forget to check for coupons from Coupons.com! Are there any other types of menus/meal plans you might be interested in along with this one? I’d be really interested in seeing one like this but for one person. I think there are a lot of single people who throw a lot of food away. Isn’t that the truth? Sometimes we even have trouble cooking the right amount for just two of us — it seems like most recipes are intended for families of 3-4.